When your business is planning a relocation, it may fall on you to manage the safe packing and transport of valuable computer and office equipment. Whether or not you have experience with handling these kinds of jobs, it's always helpful to hire professional NJ office movers to assist. At Simonik Transportation & Warehousing, we have well trained and certified NJ office equipment movers who are able to provide a range of services. From the careful breakdown of complicated wire connections to the packaged transport of your company servers, we are the NJ office moving company you can count on. Since 1977, Simonik has provided comprehensive office equipment moving services for local, long distance, and international relocations. Our team can manage all aspects of moving your computer equipment properly and professionally, to ensure a quality, full-service office move. Specialty Crating: We'll carefully pack and transport your heavy or bulky equipment. Short- or Long-Term Storage Solutions: We have a 79,000 square foot storage warehouse available. Portable Self-Storage Containers: Want to DIY it? Just fill up a self-storage pod and we'll pick it up for you. Assembly of Computers and Electronics: Our skilled movers keep wires and computer parts organized during transport for easy assembly. 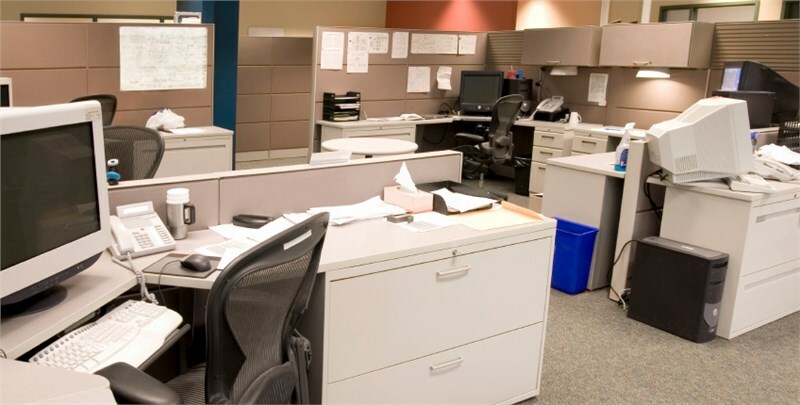 Break Down of Modular Furniture: We can also help you with breaking down the rest of the office furniture. Records Management Services: Have us organize and store your archives off-site. Digital Scanning of Files: Streamline your business by going digital, while we store physical copies in our warehouse facility. From improving the organization and productivity at your new doctor's office, to transporting valuable computer servers to a new room in the same building, Simonik Transportation handles a variety of relocation requests. As one of the premier NJ computer moving companies, you can expect nothing less than exceptional service and attention to detail from our packing and hauling crew. When you are planning on moving office equipment or computers, turn to Simonik Transportation. Our representatives can help you arrange a complimentary consultation and moving quote with one of our dedicated move coordinators. Give us a call or fill out our online form to get started right away.